Concealable 18,000,000 volt knuckle Squeeze-N-Stun gun technology! Dimensions: 3" x 2.28" x 1"
Note: Sting Rings and ALL knuckle weapons are illegal in California and cannot be shipped to CA. The Streetwise Sting Ring 18M Volt Pink Stun Gun has a unique design giving you full control of its fearsome power. Although it only weighs 0.32 lbs. it does not sacrifice the voltage, releasing 18,000,000 volts of electricity with a simple squeeze due to the Squeeze-N-Stun technology. It also features an on/off safety switch that will prevent releasing the powerful shock by accident. The grip makes it fit comfortably over your finger and in the palm of your hand and it is easily concealable. It is economical with a built-in battery that can be fully charged in just 8 hours. In the package you will find a charging cord that can be used in any standard outlet and full instructions for use of the stun gun. 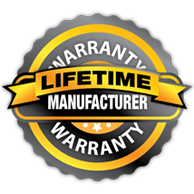 It also has a lifetime manufacturer’s warranty. This is a great product, my finance likes to go running and was in 4 marathons, and she feels very secure with this item, I have one as well and keep it with me if where Im going is not an area that I have been. Love it. Ergonomic, fits well in your hand, and that baby is LOUD! Just the sound alone will send someone running! Thank you for a great product!